DENAS-Reflexo is a portable electrode to universal devices (Denas, Diadens, DiaDENS-PCM, DiaDENS-PC). 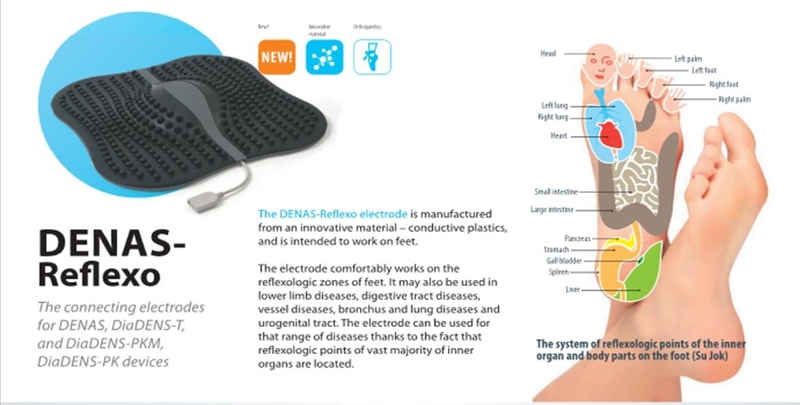 Electrode DENAS-Reflexo is intended for influence on foot zones (the Sou-jok treatment). The electrode is executed from a new material - current-carrying plastic and has the special form in the form of a rug covered with roundish thorns. 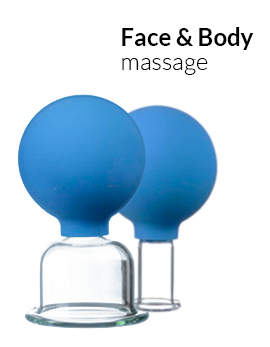 Thanks to such form electrostimulation function is combined with massage. - Diseases of bodies of a gastroenteric path. 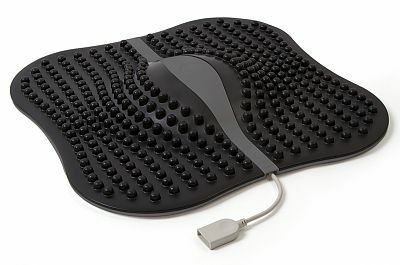 Convenient design DENAS-Reflexo allows to apply it at adults and children. 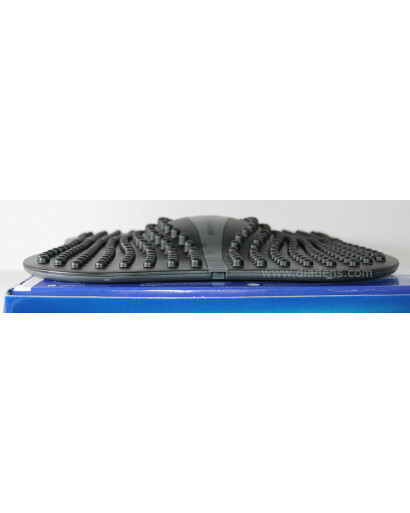 The electrode is steady against mechanical loadings and is simple in hygienic leaving.